Erica made a great trip to Petsmart and donated it all to an animal shelter! (2) Pedigree canned dog food $ .72-sale price $ .68 ea. (2) Meow mix cat food singles $ .59–sale price $ .55 ea. 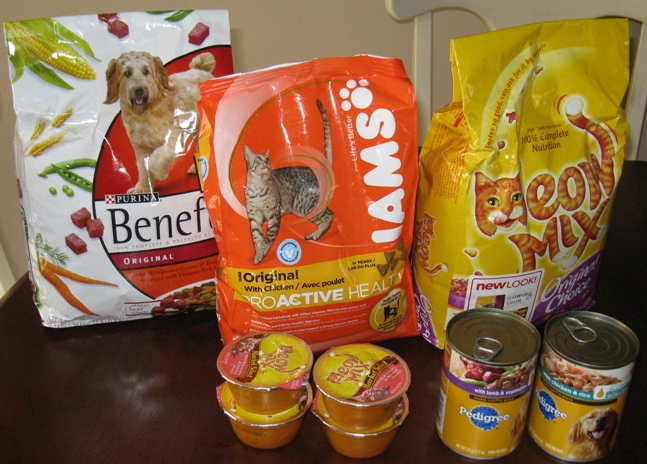 (2) Meow mix cat food singles $ .59 ea. Make sure to check out the Couponing for a Cause page to find a Food Bank or Pet Shelter location near you. Today’s Daily Deals – Art.com, Couture Dreams, PlanetShoes & More!